Chandrababu Naidu may have 40 years of experience in politics. 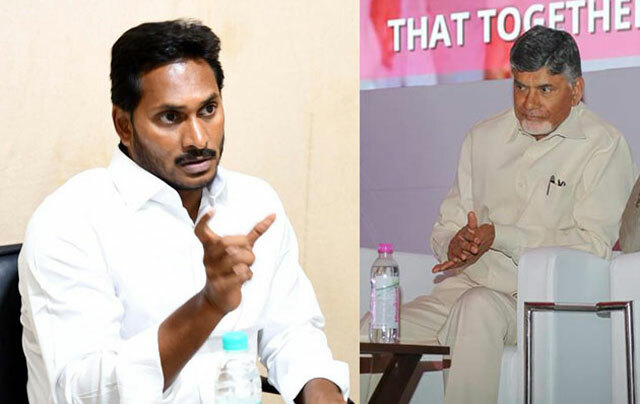 But he is steadily copying the policies of YS Jagan Mohan Reddy. He is making minor modifications and is proposing to implement the same assurances. The latest scheme to be copied is Rs 3000 welfare pension . During the 2017 plenary, Jagan said the pension amount would be raised to Rs 2000. He later hiked the amount to Rs 3000 per month. Now, Chandrababu has copied the same scheme and announced that he would give Rs 3000 towards the pension. But, why did Chandrababu not implement this during the last four-and-a-half years and why now? He has made this announcement only ahead of the elections. He realised that he would lose out the votes of the poor people, Chandrababu post-haste hiked the amount. Chgandrababu is claiming that it was he who hiked the benefits to the BCs under the Adarana scheme. While 3.44 Lakh BCs out of a total of 7.53 lakh have applied for the benefits under the Adarana scheme, not even 2 lakh people got the intended benefits fully. He had announced caste-wise welfare corporations. But there are doubts whether this would be implemented as he did not fulfil the assurances he gave to various castes and communities in the past. Jagan, who has made a deep study of the problems of various communities has announced that he would form welfare corporations for Setti Balija, Eediga, Gowda, Sri Sayana, Yadava, Kuruba, Matsyakaraa, Vanyakula Kshatriya, Turpu Kapu, Koppula Velama, Kalinga, Gavara Gandla, handloom weavers and other cases. Without bothering to study the issues at hand, Chandrababu is on an announcement spree.